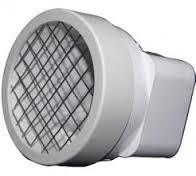 Radon vent pipes can be run up the exterior of a building to the roof. But this not recommended in colder climates because vinyl and metal downspouts will freeze up much quicker than schedule 40 PVC pipe. If your installation is placed where it will receive some direct sunlight for a good portion of the day, freeze up will be minimized. Darker colors will help too. 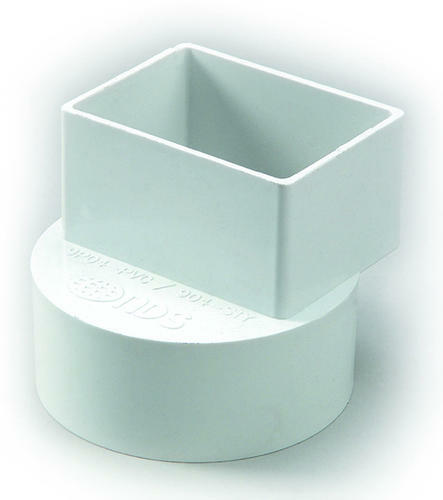 3 x 4 downspout is recommended for high flow systems. 2 x 3 gutter pipe will work for GP series fans since lower air flows will be expected.